Betsy Huckabee might have been raised in the Ozark Mountains, but she has dreams to be more than your usual mountain lass. She knows that her imagination is the ticket to getting a cabin of her own so she's not bound to living with relatives forever. So far her stories haven't been picked up by any of the big city newspapers she's submitted them to, but she believes her day is coming. And that day might be here when she meets the new deputy and realizes she has the perfect hero to base her fiction tales around. Running from a false accusation, Deputy Joel Puckett has taken the job in Pine Gap, Missouri, in hopes of a fresh start. He's heard about the corruption in the mountains and the gang called the Bald Knobbers who are trying to enforce their own brand of justice. With the hope that he can bring law and order to the area and breathe new life into his own career, Joel isn't prepared at the level of apathy and resistance he meets - except for Betsy, who as a female is one person he'd like to avoid more than anyone else! 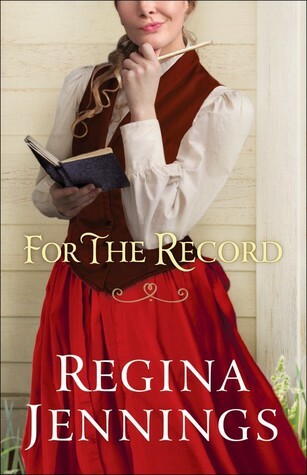 When her first story about "Deputy Eduardo Pickett" is published and the newspaper asks for more stories, Betsy is thrilled but also knows she must keep it a secret. She'd be embarrassed to death if Joel found out, especially as they develop a friendship. He's realized that she can be a help as they try to figure out who is terrorizing the mountain folks. Is it a bandit or have the Bald Knobbers blurred the lines to become criminals themselves? There was so much that I loved about this story!! Living in the Ozark mountains myself, I'm familiar with the historical Bald Knobbers and thought Regina Jennings did a great job bringing them to life. I also thoroughly enjoyed the humor in the writing. I was laughing out loud as early as Chapter 2, with gems like this catching me by surprise: "'What made you think he was the deputy?' the cowboy asked, obviously unconcerned with the very important internal discussion going on in Betsy's head." The style of narration made this delightful and captivating. This is the third book in Jennings' Ozark Mountain Romance Series, although this one is set several years past the other two and works well as a stand alone. I do recommend the previous books on their own merit, however! Here are my reviews for Book One and Book Two. Thank you to the author my copy of the book. All opinions in this review are my own. 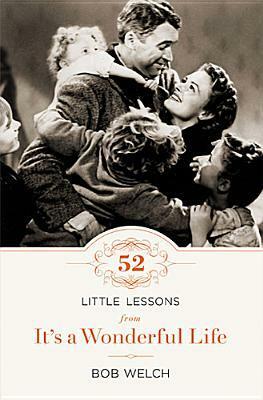 It's a Wonderful Life is my favorite Christmas movie, and this book is full of reminders about why I love it. Bob Welch thoughtfully dissects the movie and its characters, discussing what we can learn from this classic film. 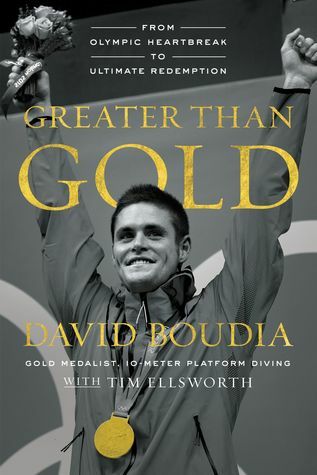 Having enjoyed his similar book on Les Miserables, I knew this would be perfect holiday reading material, and it was! Each chapter begins with a quote from or about the movie, and then talks about how we can apply various themes and thoughts into our lives. I love George Bailey and the impact he makes on Bedford Falls. As Welch says on page 90, "...The good we bring to the world, to the community, to our families, doesn't necessarily have to be big and glitzy. It can be small and quiet, which doesn't negate its importance." This is something I'm passionate about, and I love it when other people catch this vision. I enjoyed the backstory and behind-the-scenes tidbits about the movie that Welch highlights. He talks about various script changes that Frank Capra's story underwent, tells us which lines the actors ad libbed that made the final cut, and comments on public perception of the film when it was released in 1946 versus how it's viewed today. It was clear the cinematic history was carefully researched and is seamlessly woven into the narrative, showing the high regard Welch holds for the movie. 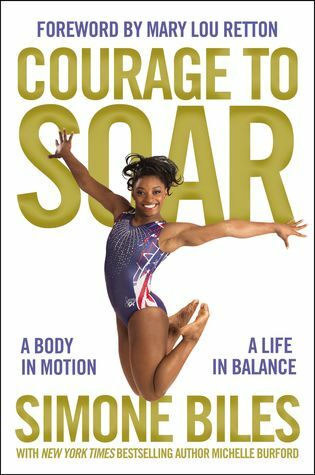 The book is also laced with Scripture and makes plenty of connection to faith's influence on our lives. How does God desire us to live? Does He value the sacrifices we must make for others? Jesus knows more sacrifice than any one of us. I'd definitely say this book was written for a Christian audience. "People respond to those who inspire, which is what, in his quiet way, George does," Welch writes on page 157. I hope that you and I will be more aware of the ways we can touch and inspire the world around us, both in this Christmas season and throughout the New Year. May we change our worlds the way George Bailey changed Bedford Falls! 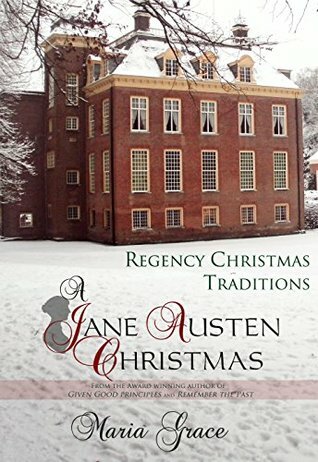 If you've ever wondered how Jane Austen might have celebrated the winter holidays, this book on Regency Christmas traditions is for you! This little book is full of information, everything from etiquette to activities to recipes taken directly from the time period. This book contains sections devoted to different kinds of parties, whether a simple card party of an elaborate Twelfth Night celebration. It discusses different days that gifts might have been exchanged, and what those gifts might have been. I enjoyed the section about caroling and which songs Jane Austen might have sung. There are plenty of things explained that sound strange to our American ears, like traditions from St. Thomas' Day and Boxing Day, or the description of a mummers play or yule candle. 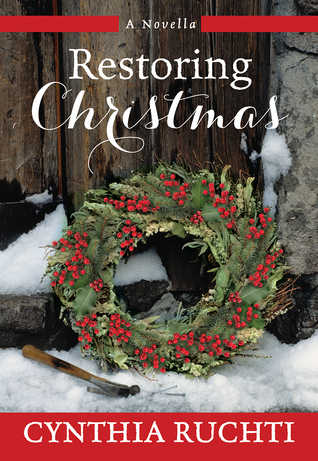 In short, this is a thorough examination of how Christmas and New Years was celebrated two centuries ago and a fun resource for history fans. 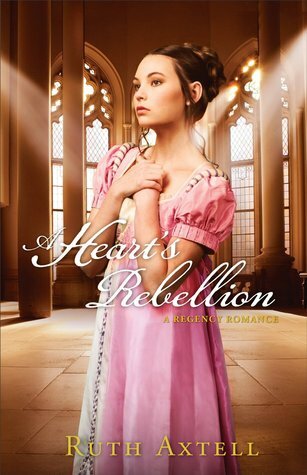 This Regency story is a sequel to Moonlight Masquerade and features several of the same characters. This time our heroine is Jessamine, a vicar's daughter who is having a season in London thanks to the generosity of her godmother. Jessamine always planned to marry her best friend's brother, but when he chose someone else Jessamine was heartbroken. Now she's determined to catch the eye of a fashionable, wealthy man while she has the chance. Taking her cues from London's elite, Jessamine lowers her necklines and her inhibitions in pursuit of being found desirable. Having spent time in India as a missionary, Lancelot Marfleet is unimpressed with his return to English society. He desires to find a parish and continue learning about botany, but his parents are insisting it is time he find a marriage partner. When Mr. Marfleet first meets Jessamine he accidentally offends her, and his quest to make up for his blunder brings them together at further parties and dinners. At first he is drawn to her because she is different and has a genuine interest in his life experiences, but soon he's dismayed to see the drastic changes to her person and the questionable decisions about her choice of acquaintances. Jessamine doesn't realize that as a young lady with very little protection in town she is perfect prey for those of a less savory character. She only wants to be sought after and admired. While Mr. Marfleet is proving himself to be a friend, Jessamine doesn't want to further his attention too much. The last thing she wants is to end up with a man so much like her father. I confess I found this story quite hard to get into, but once I came to care about the characters I could hardly put the book down. I would caution that this story does contain a few scenes which might be triggering for victims of assault. 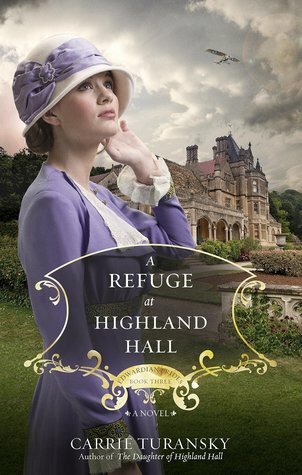 I would recommend the novel for die-hard Regency fans, especially if you enjoyed the first book in the series. In a setting just perfect for Christmas, chef Rylan Jefferson is on the cusp of running a bakery again. She just needs to come up with one show-stopping dessert to have the opportunity to win the job. While she's never been good at original recipes, Rylan receives an offer of help that she can't pass up - even if it is from the class clown of her culinary class. Maybe Colin's natural inspiration will transform a wish into a reality. We first met Colin Renwycke in One Enchanted Christmas, when he was a rather disreputable teacher and model. He's never been good at life decisions, but last Christmas was a wake-up call. He's determined to make culinary school work and to become a successful chef, but he's still afraid to go home and face his family in Maple Valley, Iowa. In an effort to both help Rylan and bring a buffer of protection to himself, Colin invites her to spend a couple weeks on the farm inventing that wow-worthy recipe she needs. Maple Valley is as charming and ever, as you know if you've read any of Melissa Tagg's other stories set there. While we do get glimpses of other characters we know, the story does a good job focusing on downtrodden but hopeful Rylan and bad-boy-attempting-to-turn-good-guy Colin. We get a look at their pasts, the way they think, and their family dynamics. These are two realistic and relatable characters striving to overcome mistakes and setbacks, dreaming of a hopeful future, and trying to make magic in the kitchen. This novella was funny, thoughtful, inspiring, and yes, enchanting. 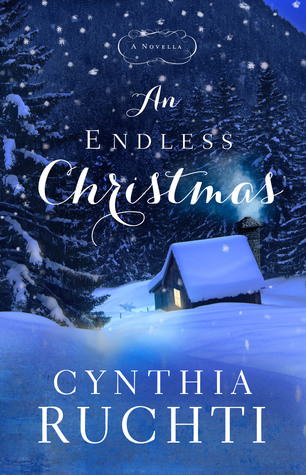 A perfect holiday read from one of my favorite authors! She's done it again! Melanie Dickerson retells a classic story with her own distinctive style, turning it into something fun and new. This time she tackles The Little Mermaid, resetting Ariel as Evangeline, cousin of King Richard II, in the fourteenth century. 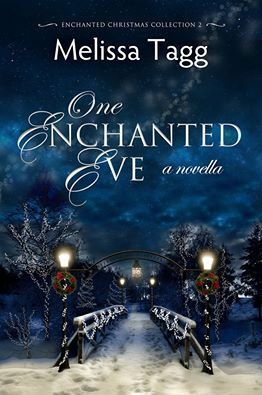 Evangeline has hoped and dreamed of a marriage based on love, but as the king's ward she knows that may not be possible. 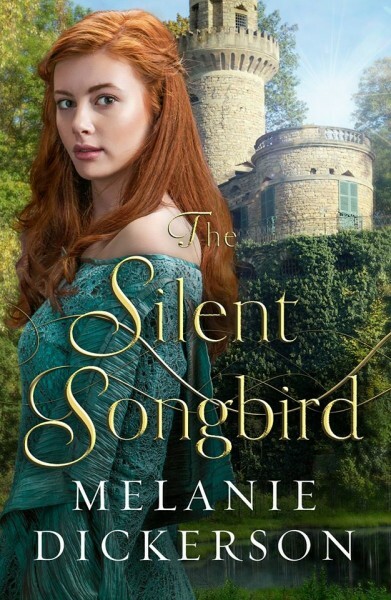 When she finds out the king is going to give her in marriage to a middle-aged man who seems corrupt and salacious, Evangeline decides she will run away. She's lived shut up in Berkhamsted Castle, and now she is free to see all the beautiful creatures and places in the English countryside. Evangeline's maid escaped with her, and in order to disguise themselves they agree that Evangeline will pose as a mute and they will say they are servants looking for work. 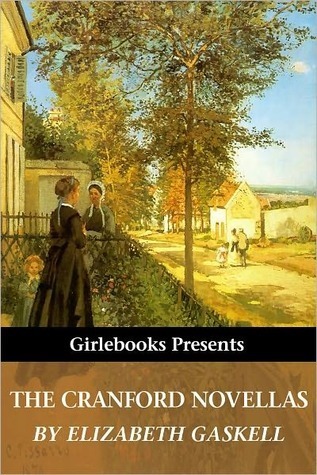 They reach the village of Glynval, and Evangeline finds herself working for the le Wyse family, whom readers will recognize from some of Dickerson's other books. 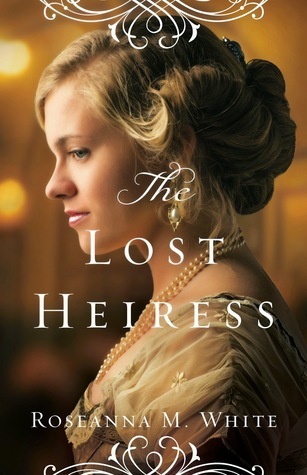 She is attracted to Westley le Wise, but since she is pretending to be a mute servant and he is heir to the manor, there are many impediments to getting to know him. Although Evangeline has never worked a day in her life, the blisters and soreness and her many blunders do not stop her determination to make a way for herself and to continue hiding from the king's men who are searching for her. 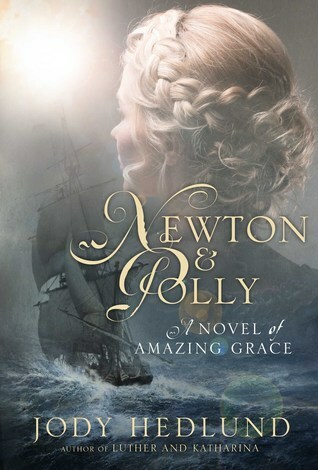 Evangeline is forced to use her voice when she comes upon an attempt on Westley's life. Still hesitant to tell the whole truth about her identity as she gets to know the le Wyse family better, eventually it all comes out. A showdown with King Richard and his minions is inevitable, and will require bravery and sacrifice from all who will stand for freedom and love. I'd recommend this book for anyone who enjoys Melanie Dickerson and fairy tales. 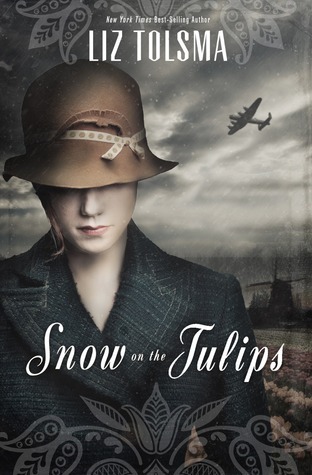 This is a unique story that is based on actual experiences within the author's family in the Netherlands during World War II. While the Netherlands had declared neutrality at the beginning of the war, Hitler invaded in 1940 and the citizens suffered much under Nazi rule. Our story focuses on a Dutch Resistance worker who was caught by the Nazis and executed - except his bullet wound was not fatal, and he survived and escaped. Alongside the Resistance worker, who is named Gerrit in the story, our other three main characters are siblings. Cornelia is a young widow who is hiding her 20-year-old brother Johan from the Nazis in the closing days of the war. Since losing her husband she's tried to keep her head down and just get through until her country can be liberated. Anki is the oldest sibling and is married to a staunch pacifist. When Johan goes out exploring one night and comes back with the injured Gerrit, it thrusts them all into danger. Cornelia agrees to harbor Gerrit, and Anki goes behind her husband's back and uses her nursing skills to help Gerrit recover. Once the Germans realize they are missing one of the corpses of the Resistance workers, they begin raiding neighborhoods searching for the wounded man. They also begin cracking down harder on anyone they suspect of hiding men or Jews. Johan longs to get involved in the Resistance after having spent so many years hiding. Cornelia has ignored Resistance work for so long but now that she's hiding a prominent member she can no longer turn a blind eye to the needs of the cause. Anki is risking her marriage and family to be involved, but can only do what she feels is right even though it may cost her everything. As liberation comes closer but danger yet lurks in every shadow, bravery and romance bloom. And hope - hope that there can yet be a future for this family and for their beloved country after this long nightmare is over. I enjoyed this novel and the chance to learn more about the Netherlands during the war, especially since the plot was based on real events. I would have liked to see more depth in the writing itself, as the style of using unvaried and simple sentences did not draw me in and engage me as a reader, even though I cared about the characters. Since this was the author's debut novel and I've not noticed the same thing in her later releases, I believe she has grown and improved in this. I would highly recommend her other books, Daisies Are Forever and Remember The Lilies. I really like Melissa Tagg, both as an author and a person. We've yet to meet face to face, but she just seems like one of my people. Her newest release, the third book in the Walker Family series, has been on my radar since the second one came out April. It was great to revisit the fictional Iowa town of Maple Valley, and the storyline did not disappoint. Beckett Walker has stayed away from home for six years, and his first trip back is unceremoniously interrupted when he is almost immediately arrested for a warrant issued long ago over a youthful indiscretion. That is hardly the way he wanted to face his family and friends after such a lengthy absence! He's returned home to try to clear up this mess and get things lined up for joining the JAG Corps, but now everything is more complicated than ever. Sentenced to a significant amount of community service, Beckett has no recourse but to make Maple Valley home for the next couple months. Also on her first trip back home is horticulturalist Kit Danby, who made a life for herself in England after she left her Maple Valley groom at the altar six years ago. 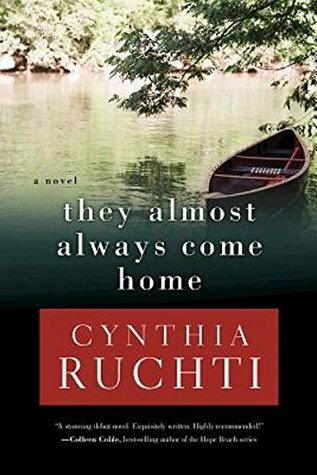 But there's a longing in Kit's heart that prompts her to make her flight to Iowa a one-way trip, and when she sees her grandparents' orchard, the place where she was raised, so abandoned and neglected, she wonders if this is where her heart is supposed to be. The orchard is still in her family, and her absentee and nearly estranged father agrees to let Kit try to revive it, on the condition that she turn a profit her very first season. 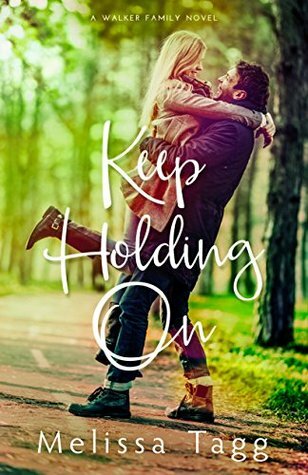 Once childhood best friends, Beckett and Kit get to know each other again when he is able to arrange to serve his community service at her orchard. 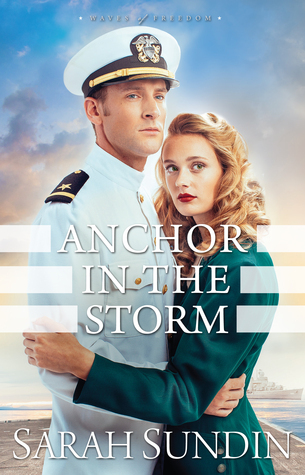 The pull of her heart to make this orchard work is just as strong as the pull of Beckett's heart to find adventure and fulfillment in his new career with the military. Even as they feel the draw of attraction which they never explored as kids, they brace themselves for the parting they know is coming. While Melissa has explored plenty of deep emotions in her previous books, this one felt a little different for me. There was a maturity in the writing which set this story apart. Beckett's pain of always feeling on the outskirts made him a truly compelling protagonist, his emotions written in such a way that you truly understood the choices he made. He seems to be cursed with constantly missing big moments, and not knowing how to handle that grief keeps driving him away from the people he loves. Watching the beginning of Beckett's healing left me full of wonder and hope. There were some ways that I really related to Kit as well, nearly choking up with the ways God spoke to her heart because they were so familiar to me, echoing ways that God has spoken to mine. The orchard setting makes this perfect autumn reading. As Beckett and Kit fight for the orchard and fight for a home for each of their hearts, you'll be drawn in to the wonderful place that is Maple Valley and its colorful cast of characters - and also to the love of God that keeps Him always holding on to us. Raised as a prince's daughter in the palace in Monaco, Brook is a free-spirited and highly cultured young lady. Yet the longing to find her true identity tugs insistently at her heart, and when her dearest friend returns to her with the news that he's found her biological father, it is with trembling hope that Brook journeys to northern England to meet the Earl of Whitby. She possesses enough links to undeniably be the earl's lost daughter, and he immediately welcomes her with the full joy of his heart. Other family members and household staff are not so sure, however, and Brook must handle their disapproval as well as the adjustment of missing her Monegasque home. Having safely seen Brook to her new home, her friend Justin Wildon finds himself in a predicament. Not only is he in a time of grieving and inheriting his father's title and responsibilities, but now that Brook has been ushered into a home with every future luxury ensured, he feels awkward to think of courting her at this point, when she might think he was only changing the nature of their relationship due to her new fortune. Deciding the best course of action is to let her settle in, Justin pushes Brook away and throws himself into learning his own new position in society. Brook is soon inundated with new friends and suitors, some genuine and some who are only fortune hunters. There are also cousins and relatives to meet and get to know. Even as she cherishes the growing relationship with her father, Brook longs for more of the freedoms she's used to, and she misses Justin and his ability to help her make sense of her life. It soon becomes clear that there is a mystery underfoot. Brook is attacked for something called the Fire Eyes, and she realizes that one of her servants has been betraying her. There is also the lingering doubt as to why her mother left England before her death, giving infant Brook to a stranger with instructions to keep the child out of the country. When it becomes clear that there are those who will stop at nothing to gain the mysterious Fire Eyes - even though neither Brook nor her father know what they are - every attempt goes to keeping Brook's life safe. Danger lurks everywhere, including among those who call themselves family. 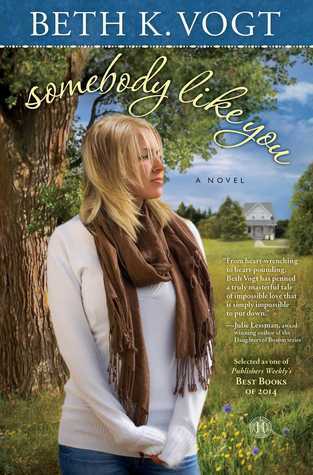 This was the first book by Roseanna M. White that I have read, but it won't be the last! It was easy to get lost in fictional 1910 Europe, and while sometimes the characters drove me crazy with their choices, you always hoped for the best for them. The story of the Fire Eyes continues throughout the next two books in this series, and I'll be doing my best to read them soon! Ella has made a quiet life for herself as a maid in a hospital, shutting out as much of her soul-splitting pain as she could. 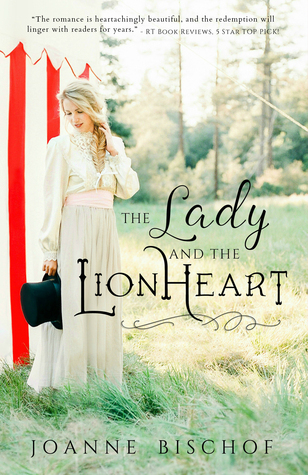 Everything she knows changes drastically when Charlie Lionheart bursts into her life, little baby Holland in arms. With hardly two coins to rub together, Charlie is having trouble finding someone to care for his girl. Feeling the unjustness and a pull towards someone so small and helpless, Ella quits her job to dedicate a few days to nursing Holland with all the herbs and remedies she's been studying. Charlie's home is far from normal. As a lion tamer with the circus, all of his belongings and responsibilities can be packed up in a couple of wagons. He knows he shouldn't be bringing the young nurse to his tent, not at the risk of what it could cost him where his contract is concerned, but Holland has never been so sick and there is no one else skilled in caring for her. He would - he has - given up everything for Holland, and he's not about to stop now. 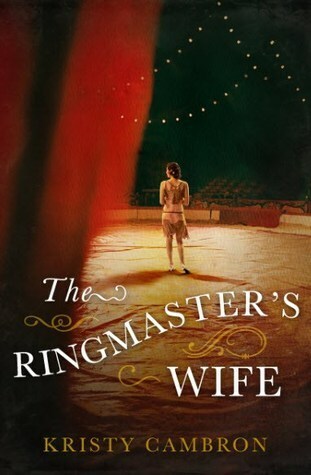 While Ella enjoys tending to the baby, meeting Charlie's friends, and seeing the amazing sights around the circus, she worries about where to find a new job and how she's going to pay her rent. Maybe she should consider going home to her parents. But that would mean returning to the place where she endured so much agony. Agony that all comes back to the surface as she spends time with Charlie, caring and kind as he is. Drawn to the serious and sweet woman, Charlie doesn't know how to tell her of the dark secrets in his own life. Secrets that would be inescapable were their relationship to become closer. He is counting down the days until the agreements that made Holland his are fulfilled and he is free of the evil lurking in the far corners of the circus. This is a truly beautiful story. It's not without darkness, but it is so strong on hope and love. Joanne Bischof allows her characters the time to explore their emotions, to fully develop their feelings and draw readers in. This was a book I did not want to put down, and though it's the first Bischof I've read, I'm sure it won't be the last. I would give a word of caution that there are disturbing elements to this story and it is definitely not one for everyone. But it also has allegorical veins that point to the Bringer of Hope and Light and Love - Jesus Christ. Through Him we face our fears, our darkness. Through Him we have a future, no matter how cloudy it is at present. Through Him we have all we need. All in all.